Back in January, I mentioned that one of my New Year’s resolutions in beauty was to add some more natural products to my beauty routine. Now, I may not be doing the best job at some of my other beauty resolution (I’ve painted my nails once), but with this one I’ve actually done pretty well! 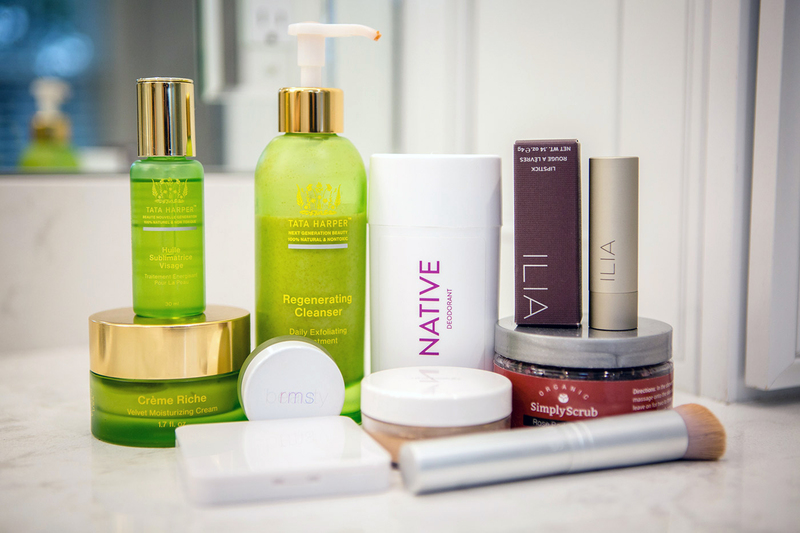 I thought I’d share a bit of an update on some products I’ve been using and loving, and all of them fall into that “natural beauty” category. I’ve really been loving integrating Tata Harper products into my skincare routine. I shared a few of the products in my calming bedtime routine post a while back and I’ve added a few more since then. I use this Regenerating Cleanser almost every day, and I especially like it in the morning, after my morning workouts. It’s a really gentle exfoliator and it just makes your skin glow. I’ve more recently started using the Beautifying Face Oil as a sort of “serum step” and I feel like it’s been great for adding glow to my skin. It’s moisturizing but really light and I feel like this makes a difference in how my makeup goes on – it’s much smoother! 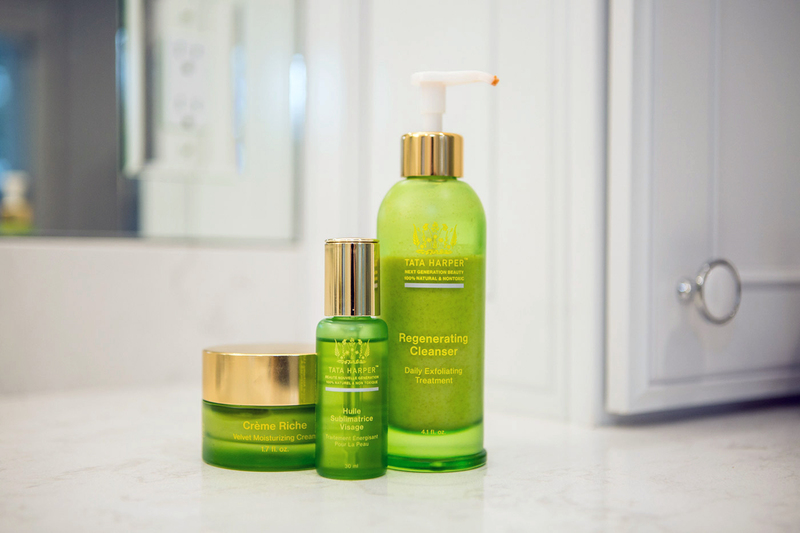 The Creme Riche moisturizer has been my go-to moisturizer for nighttime. It’s rich, absorbs quickly and make your skin feel really soft and hydrated. You could also use it for daytime, because it does wear well under makeup but I’ve just liked it as part of my evening routine best so far! I was a little skeptical about natural makeup at first because I wasn’t sure that it would offer the quality of coverage or color that I was used to, but I’ve found two brands that I really like a lot. I wear my RMS Beauty Un-Cover Up as a daily foundation for light coverage. You could build it more than I typically do, but that’s one of the things that i like most about it, is that it’s so light and has such a natural finish. I either use my fingers or the brush to apply it and it’s really smooth – you don’t even feel it! I set that with the RMS Beauty Tinted Un Powder, which is matte and light, as well. The RMS Beauty Luminizer x Quad is one of my favorite daily products – it’s awesome! I use the darker color as a little bronzer and then the rosy, creamy color as a highlighter. If you are looking to try just one natural makeup product, start with this one, you’ll use it all the time. 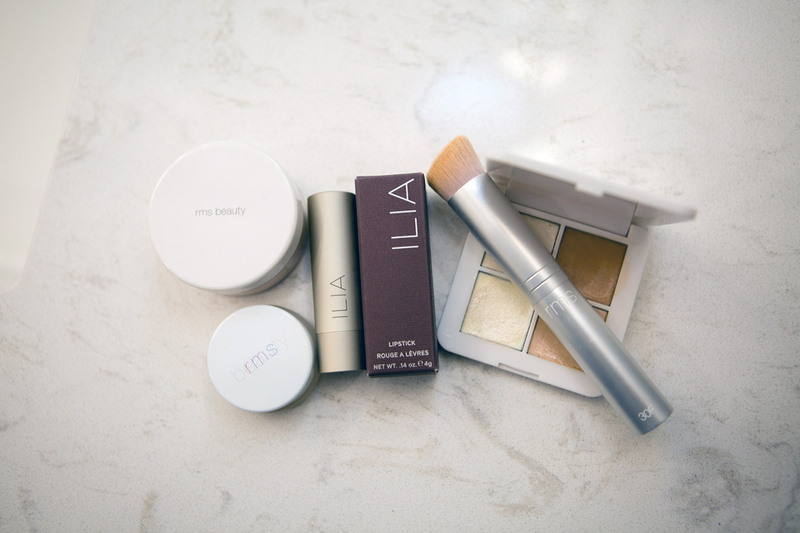 ILIA lipstick is also one of those that has become a quick favorite. I like the Madam Mina color for an easy, everyday lip color. It’s really smooth and moisturizing and it lasts really well! If you can’t tell, I’m in it for light-feeling makeup that lasts throughout the day and these products are working really well for that! 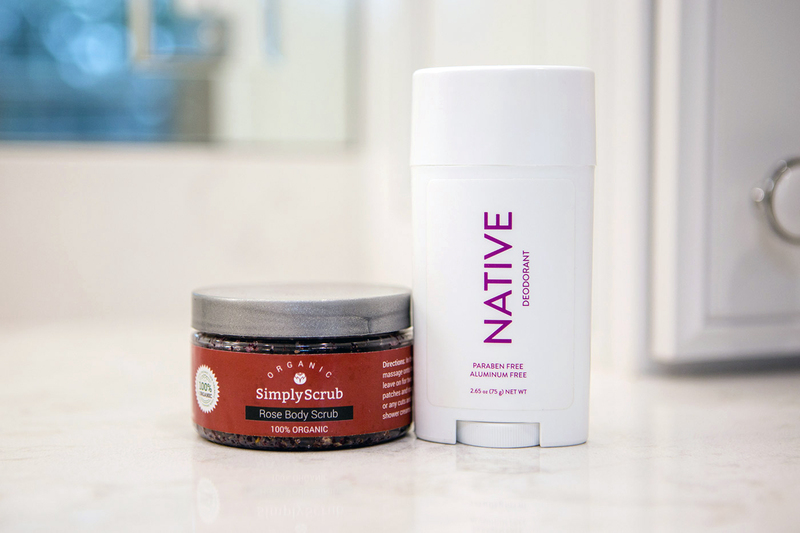 I’ve been using this Native Deodorant for a few months now and I really like it! It’s worked well for me and I love the scents that it comes in, this lavender and rose is my favorite – light, feminine and not overpowering, so you can wear it with perfume and it doesn’t conflict. I’ve found that it works really well for me, even with all of my workouts and general mom-life craziness. I’ve heard that your body gets used to a natural deodorant like this as you use and I’ve found that to be the case for me – it’s even in my Disney World suitcase this week! Speaking of rose, this Simply Scrub body scrub is a luxurious, gentle scrub. I like using it at night, or even just as a softening foot scrub. The same brand also makes a coffee body scrub that is a great energizing, invigorating option for mornings (and a good foot scrub too! ).